The ideal layer to keep cosy during the cooler months, our poncho is made from soft fleece for optimum comfort on chilly mornings and nights. 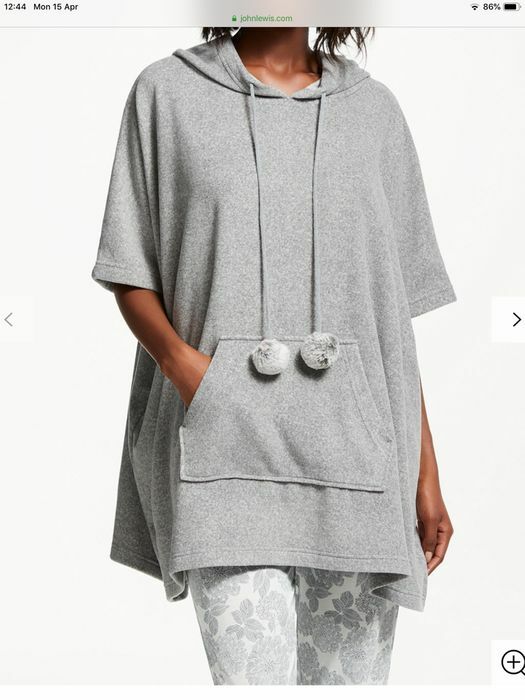 Offering a relaxed fit with loose short sleeves, this top features a hood, playful pom pom ties and front kangaroo pocket. It dos not say what size it is. I do like it. Thank you for sharing this good deal. It’s a very loose fit, huge in fact. I ordered one at full price months ago and sent it back. I looked like a sack of potatoes, although I’m tempted at this price.